You can view this webcomic for free right here! 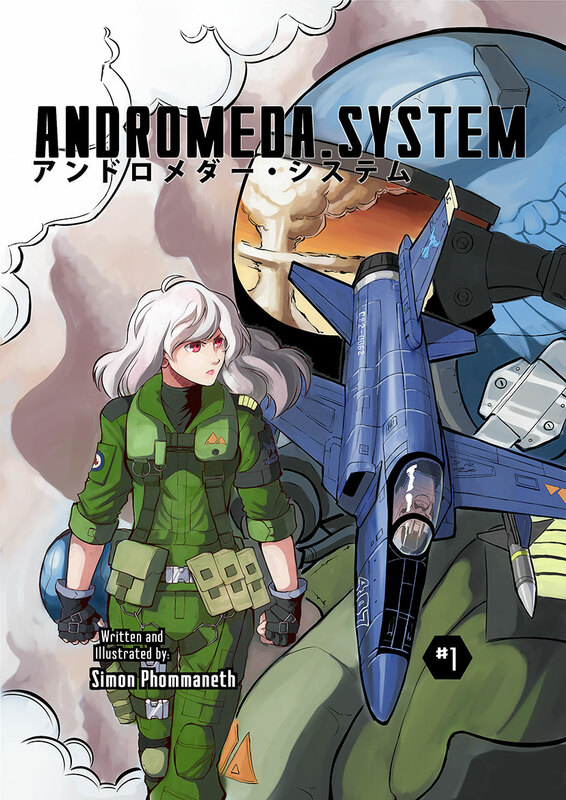 Andromeda System is a military drama/science fiction and aviation comic with a manga aesthetic. Set in the near future after a devastating war known as the Asuaria Triangle, proxy wars are now fought between private military corporations hired by governments unable to afford to fund their own armed forces or otherwise unable to officially act on their own foreign policy due to new international laws attempting to curb the political ambitions which shaped the late 20th century. The story focuses on a small South American PMC, Apellon-Asana Inc., veterans of the Triangle who find themselves caught in a sinister conspiracy centering around the mysterious fighter aircraft Persephone, the true cause of the war--and the cause of the war's catastrophic end. Apellon-Asana's mercenaries are not the only heroes--they are backed up by real world fighter aircraft, weapons and equipment; all of which they'll have to make very good use, especially against an enemy armed with technology light years ahead of anything ever built by mankind. The first dozen pages are already available at the time of this writing, and there's more to come. Your support means I can take the time to make more comics, and update more frequently. I previously worked on Toronto Comics Anthology Vol. 3, where I wrote and illustrated the 10 page story Karina; in addition, I also drew a 9-page story for Hogtown Horror called Descent, by Alex Correa. You can view samples of these comics here. You can also see my graphic design and illustration work at http://www.simon-phommaneth.com. Thank you for supporting my comic! You will get access to my blog, where I will post unreleased material including teasers for the next chapter, concept art, sketches, early pencils, and so forth.